HV Tech Computer Solutions is here to help small and mid-size businesses with their IT infrastructure . We manage many companies in Westchester County NY as well as Rockland ,Orange and Putnam counties. We offer on-site computer service (contractual and time and material), remote computer network monitoring, IT consulting and more. 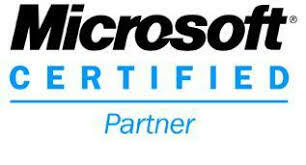 Our Microsoft certified technicians provide fast, affordable business computer service and technical computer help - We offer same day, weekend and evening appointments. Let us be your IT department! Look below to find out more about our specific business computer service offerings.